Another promising MIFF film to watch out for! Star Cinema and Ambient Media have co-produced the Philippines’ first full-length 3D-animated film and official 2010 Metro Manila Film Festival (MMFF) entry titled RPG Metanoia. 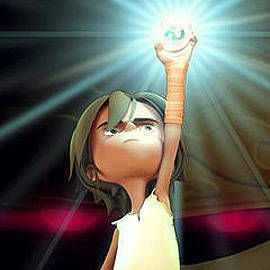 The film tells the story of Nico, a "shy and timid" boy who "finds courage and affirmation during his afternoon on-line gaming sessions." It is in the virtual world called Metanoia that Nico gets to become a hero, thanks to his avatar Zero, a vagabond traveler. Other characters include Bryan (Mang Ernie in Metanoia), Nico’s best friend; Mark (Ahdonis), the group’s quirky ladies’ man; Daniel (K’mao), the "strong and silent" type; Bobby (Sumpak), the "biggest geek" in the group; and Mae (C4ss4ndr4), the pretty, smart, and adventurous girl in the bunch. Writer and director Louie Suarez, who has been in the animation business for 10 years now, told SPOT.ph that Metanoia is all about "coming out of your shell and finding the courage to do something about the situation. Don’t just sit around. It’s about finding the hero within." According to Suarez, it was in 2003 when he started to write the story of Metanoia. The early pre-production stage started in 2006 and the production went full blast in 2007. "One of the biggest challenges was the technological challenge. Are we equipped for this?" Suarez told SPOT.ph. The film boasts of an entirely Filipino team from animators, to artists, to voice talents. According to Suarez, "the dream is to raise the bar higher for everyone and to bring back the days when movies were really well thought of. We would like to change the way people look at Philippine cinema." RPG Metanoia will hit the big screen on December 25. For more updates, log on to the RPG Metanoia Facebook page and the RPG Metanoia website.